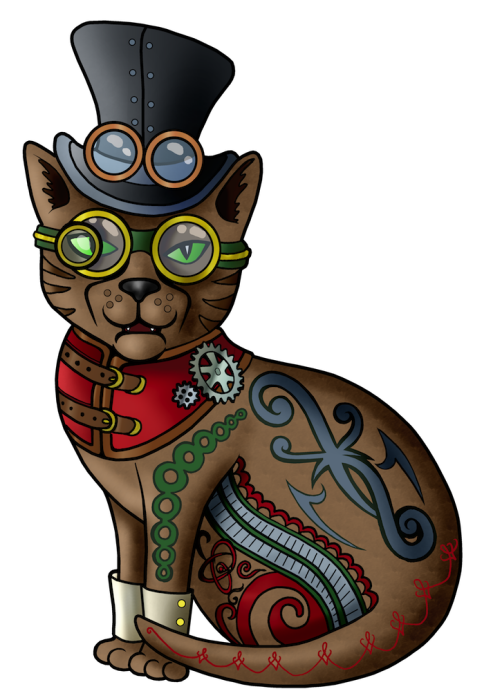 This is the third cat in the short run series of images of CatBot(s) we have had created by Jack Knight for our continuing Steam/Diesel Punk branding and image exercise being undertaken this year at Castle Shadowcat. This particular cat accompanies, we believe, the image of our Managing Director Mark Keating. As such we think it would be a great idea if we found a name for him, anyone may enter a name just use the comments form below, it should be suitable to a CatBot of his breeding and quality, do Mountbank WhistleWhiskers III and similar will be well favoured. Side Note; I have used the phrase animated to great length in the description, titles and production of these images and yet they are static, why is this word bandied about so much then. Well it is a play on the word, an animation is normally a moving cartoon in a modern cultural sense. However, to be animated is to be brought to life, as in Frankenstein's creature was animated. 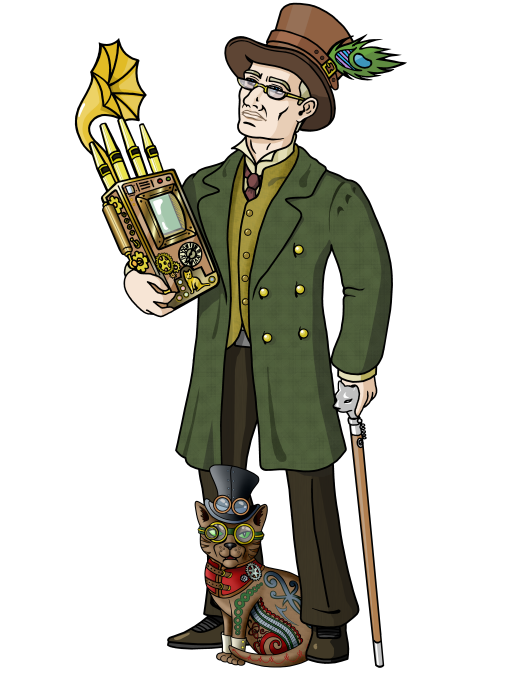 The images are partly steampunk-ish - so we can move between the word usage animate - animatron - robot/cyborg. Finally, animate means lively, fresh, vibrant and full of energy which these images are. The long entymology of the word comes from the Latin animo, which is to have soul, and these excellent drawings have plenty of that as well.